Launched earlier this year, Digital Village is an initiative of KPMG aimed at stimulating collaboration between corporates and the startup community. KPMG Digital Village focuses on three particular areas: fintech, healthtech, and logtech, for which it has partnered with AIA Edge Lab and most recently SCAngels, the venture arm of YCH Group, to build a robust logistics startup ecosystem with strong networks in Singapore. In a recent interview with the Business Times, Lyon Poh, Head of Digital + Innovation, KPMG in Singapore, said that the rise of “mega trends like mass personalization, digital labor and smart cities” have led businesses to operate in a “VUCA (volatile, uncertain, complex, and ambiguous) environment,” forcing them to adopt new technologies in order to stay competitive. Over six months after the launch of KPMG Digital Village, Fintechnews.sg catches up with Poh, and Jan Reinmueller, Head of Digital Village, KPMG in Singapore, to learn more about the initiative and the developments. 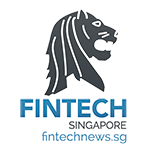 Poh and Reinmueller also discuss some of the hottest trends in fintech including blockchain technology and artificial intelligence, and further share their views on the current state of the industry in Singapore. In your own words, what is Digital Village, and what does it want to accomplish? The Digital Village is an ecosystem where corporates, innovators and partners can co-innovate or find exciting investment opportunities. It aims to foster open collaboration and facilitate innovation in a practical way. Can we say that the KPMG Digital Village is unique? The KPMG Digital Village’s collaborative innovation approach is unique as it was launched to bridge the gap between supporting start-up innovation via accelerators and the actual commercialization of innovative ideas. We took KPMG’s expertise in business consulting and leveraged that to help guide start-ups in their idea and value proposition development to present to corporates a commercially viable solution for their business. This means we also help start-ups to accelerate and grow to the next stage of their business. How do you select your startups? We select start-ups based on business challenges from our corporate clients or when we believe that a technology or even a business model can add value to our clients. If you’re a start-up, tell us how your solution can help the Financial Services and Insurance industry in addressing the burning issues they face today. Can we know a bit more about the startups that have been selected to join Digital Village? What makes a corporate wants to become part of Digital Village? Digital Village takes a collaborative, problem solving approach to innovation. We recently launched a corporate accelerator, KPMG Digital Village x TAG.PASS to help companies on their innovation journey. Whether they are looking for start-ups to invest in as a venture, or to co-innovate to develop solutions to solve a specific business challenge, we provide a one stop platform and ecosystem to make it happen. Is there any particular area, technology you’ve seen particular interest from your corporate clients? 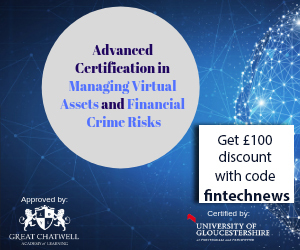 Blockchain and deep learning are two of the areas which have been generating interest from our corporate clients. Blockchain has the potential to disrupt the financial services industry. An example is automating the insurance claims process via blockchain smart contracts. For travel claims, the insurer can tap on publicly available real-time flight information, and rely on the smart contract to identify when a policyholder’s flight has been delayed and automatically trigger pay-outs. This can reduce hassle and enhance user experience for consumers, and lower operating costs and enhance customer loyalty for insurers. In the area of Know Your Customer (KYC), this information can also be stored on a KYC blockchain shared ledger and shared across banks in a transparent and secure manner. This will create a common standard for performing KYC checks and screening, reducing operational inefficiencies for banks and enhance overall banking experience for individual and corporate customers. Deep learning is another area which has generated much interest as there are a multitude of applications. It can allow corporates to gain deep customer insights and hence enable personalized products and recommendations, customer micro segmentation and targeted marketing, and deeper customer engagement, amongst other benefits. Insurers can also leverage deep learning insights to better price their products and manage risk. These are only some of the potential applications; the opportunities are wide-ranging and differ depending on each company’s needs – this is the innovation journey Digital Village brings our clients on, starting from truly understanding our clients’ needs to delivering and driving real business outcomes via innovative solutions. It’s been over six months since KPMG launched Digital Village. Have you made any successful pairing? What are the most notable achievement(s) so far for Digital Village? We have worked with several insurers to reimagine insurance as we currently know it. We recently brought multiple insurers on innovation journeys to build blockchain smart contract prototypes together with a start-up that’s at the forefront of blockchain solutions. This will help to transform traditional insurance and drive benefits of reduced hassle and enhanced user experience for consumers, and lowered operating costs and enhanced customer loyalty for insurers. Through our customer-centric design thinking approach, we have also developed a new product which leverages mobile telematics for a leading Asian insurer by working with a start-up that provides telematics solutions. We are also deeply passionate about helping to fight the ‘war on diabetes’ – an area of focus for Singapore’s Ministry of Health that was announced in April 2016. We are currently working with the wider ecosystem (government, healthcare providers, and corporates) to explore how we can co-innovate solutions to prevent and delay the progression of diabetes. A working prototype for an IoT and analytics enabled lifestyle management solution combining the use of a wearable device, connected weighing machine and customized app has been developed with the aim of helping insurers manage the cost of claims for a diabetic population, and enable behaviour-based pricing. Digital Village is based in Singapore. How would you describe the domestic digital/tech scene? What about fintech? The scene in Singapore is definitely very exciting. Singapore is leading Asia in the way it uses IT to improve business and society – it was named Asia’s top country in digital transformation and connectivity using ICT (Global Connectivity Index 2016, Huawei). This digital transformation has been greatly enabled by a highly connected population and workforce. 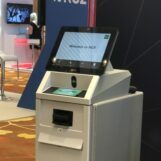 Fintech in particular is booming – the Monetary Authority of Singapore (MAS) has been supporting and encouraging innovation in financial institutions in Singapore, through initiatives such as the establishment of a Fintech Innovation Lab to facilitate ideation, experimentation and networking amongst the ecosystem, along with grant schemes for Fintech developments. Singapore and Switzerland also recently announced the signing of a cooperation agreement to deepen cooperation and exchange views on Fintech. Similar agreements have also been signed with Australia and the UK. We have also increasingly seen financial institutions anchor their innovation labs in Singapore to drive adoption of Fintech initiatives. What are the industries/technologies that you are the most excited about? 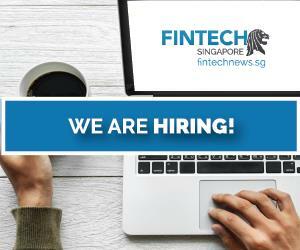 The Digital Village team’s core industry focus is in Fintech, Healthtech, and Logtech – these are strategic industries identified in Singapore’s long-term vision. Since its launch, we’ve worked with key players in the ecosystem to advance our network and knowledge in these industries. In addition to AIA Edge Lab, we’ve also recently announced the collaboration with Supply Chain Angels (SCAngels), the venture arm of YCH Group, whom we will work with to build a robust logistics start-up ecosystem. We’re constantly on the lookout for ecosystem partners who share the same belief that collaboration is the way to go to accelerate the adoption and commercialization of innovative solutions. Often, the greatest transformation comes from adapting new applications and innovations by looking to other industries. We’re also excited to see how technologies in one specific industry can be applied in others. Many industry observers argue that Singapore has the potential to become Asia’s fintech capital. Do you agree with that? Singapore definitely has the potential to become Asia’s Fintech capital. We have the foundation of a highly connected population and workforce backed by strong and reliable internet connectivity, and it’s supported by the presence of key financial institutions who are driving their innovation agendas based out of Singapore. These, coupled with strong government support in the form of funding, light-touch regulation and a recent Fintech Sandbox to enable testing of financial products in a controlled environment, have positioned Singapore as Asia’s Fintech hot spot.